Prophet Patrick Mugadza, the leader of Kariba Church in Zimbabwe, who is alleged to have committed criminal offence by saying that President Robert Mugabe would die on October 17 this year, was further remanded in custody to next Monday . Last month, he was arrested for creating a nuisance by giving a prophecy that President Mugabe wasn't going to live to see the end of 2017. Prophet Mugaza who has spent more than a month in remand prison following his arrest appeared before the High Court judge Priscillah Chigumba yesterday. His lawyer and prosecutor Editor Mavuto agreed to have the matter postponed to March 8. Speaking to journalist after the adjournment, he said 'Like I said earlier on that I'm not happy for someone to die, but this is something that is going to happen. 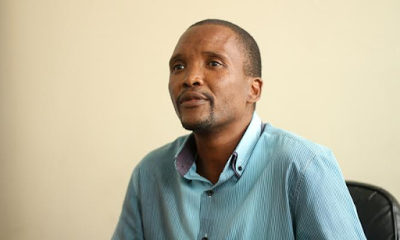 Prophet Patrick Mugadza, is being charged with insulting the Christain and African religions when he predicted that the 93-year-old president would die on October 17 this year.